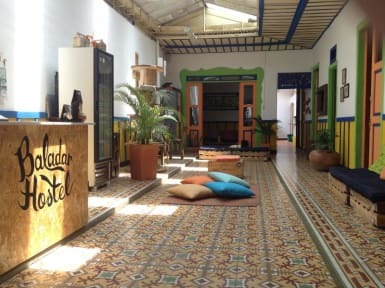 Baladar Hostel Pereira v Pereira, Colombia: Zarezervujte nyní! Baladar it is a hostel in Pereira city. 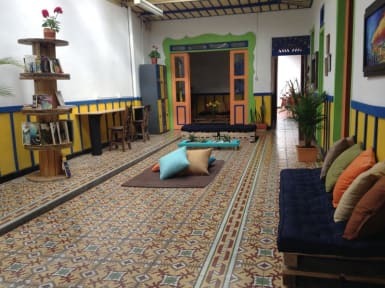 We are based in a typical house of the region, we offer you a comfortable and beautiful rooms, different social spaces with TV, Pc`s and books, also a little bar were can found diverse products, to attempt, serve and delight our guests. We are located in a strategically point, not only in the city, near to different Commercial Centers, with easy access to the most different places in the Cultural Coffee Region. In this sense, near to our facilities you can fins some of the finest attractions of the city such as Parque Olaya Herrera, Museo del Oro and many more. Our rooms contain all the necessary for your comfortable stay; high quality beds, night chair, night table, night lamps, and lockers. Furthermore, our hostel has been thought for a recreational travellers from the entire world. Check out before 13:00 .